Due to a large number of incidents along with adverse weather conditions, rounds thirteen to fifteen of the Masters Superbike Championship at Mondello Park were severely disrupted, leading to a much reduced race programme. A major incident on Saturday, which left the circuit with reduced medical cover, led to the cancellation of part of the race programme, including Superbike round thirteen, while changing weather and an unusually large number of oil spills led to the early conclusion of Sunday's action. Of the feature classes, two Supersport races were completed over the two days, while just one Superbike race took place. The unexpected star of the Supersport action was Kia McGreevy who took a sensational victory in Sunday's sole Supersport encounter. The teenage 'Cup' class rider dominated the race from the first corner, in extremely greasy conditions, when he pushed by his more cautious rivals to move from seventh on the grid into a clear lead at the end of lap one. From there he built his lead every lap to take his first overall win by twenty seconds from Ross Patterson and Jason Lynn. By winning the race McGreevy became the first 'Cup' rider to win a Supersport Race outright in the history of the Masters. While McGreevy was setting 'Cup' history Eunan McGlinchey consolidate his 'Cup' championship lead by taking second, with the returning Aaron Wright third. Saturday's opening Supersport event had seen Kia's older brother Korie take his second Masters win of the year, while Jason Lynn finished second, just ahead of main title rival Ross Patterson. Kia McGreevy gave notice of his intentions by taking fourth overall and winning the 'Cup' class, ahead of Eunan McGlinchey and Graham Whitmore. An accident at the start of the Superbike and Supersport 'B' Race meant that the Saturday schedule had to be cut short meaning Superbike Round thirteen was cancelled. When Sunday's round fourteen was due to start, track conditions, due to a mixture of rain and oil spilled during crashes, were bad enough for the Clerk of the Course to ask the riders to run their warm up laps before deciding whether or not to race. The majority of riders agreed reluctantly to continue and it was Charles Stuart who made the best of the conditions to take his second victory in a row. Cody Nally pushed Stuart hard all the way to finish second, getting to the chequered flag for the first time since round three, following a season of electronic issues. Mark Glasgow rode superbly to take his first Masters podium of the season with Luke Johnston fourth. 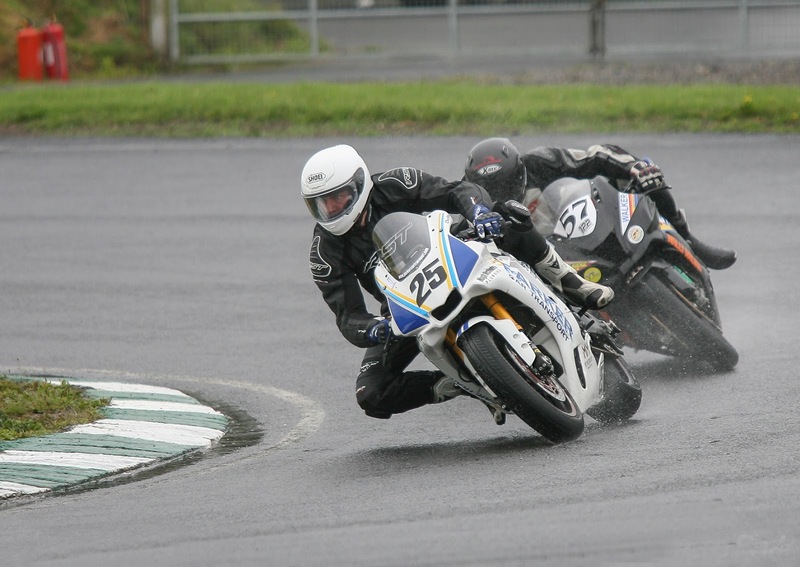 Andrew Murphy took the 'Cup' class in fifth ahead of cautious overall series leader Richie Ryan who opted for safety in the challenging conditions in order to preserve his massive championship lead. 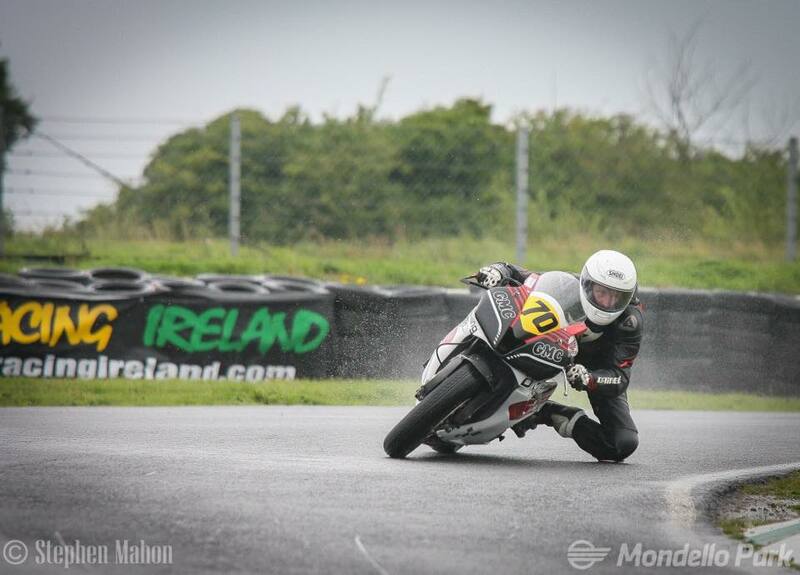 Michael Gillen's second place in the 'Cup' class allowed him to retain his gap at the head of the championship, while Gary O'Brien picked up his first Masters Superbike 'Cup' podium in third place. Following the Superbike race a number of riders from that class expressed their concerns about the track conditions and said that it was a mistake to run the race as the conditions were so poor. This, along with a slew of accidents in the following Lightweight Supersport race and a forecast of more rain, convinced the Clerk of the Course that the best course of action was to cancel the remainder of the event on safety grounds. The Masters Superbike Championship continues in two weeks time at Bishopscourt County Down with rounds sixteen and seventeen on Sunday August 20th.